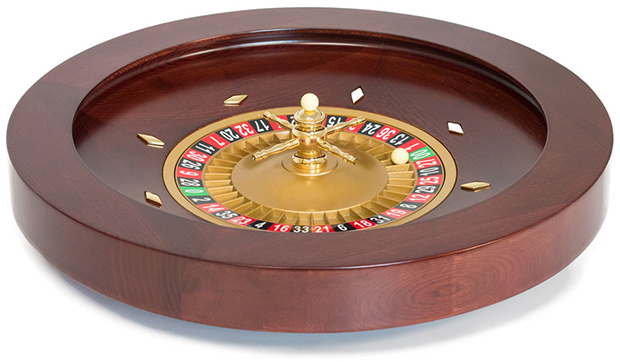 Here is our highly discounted elegant 20 Inch Roulette Gloss Mahogany Wood Wheel with Gold Finish Turret. It has a steel gold finish turretand spins effortlessly on a two precision ball bearing mechanisms. The balanced steel spinner will give years of trouble free use. 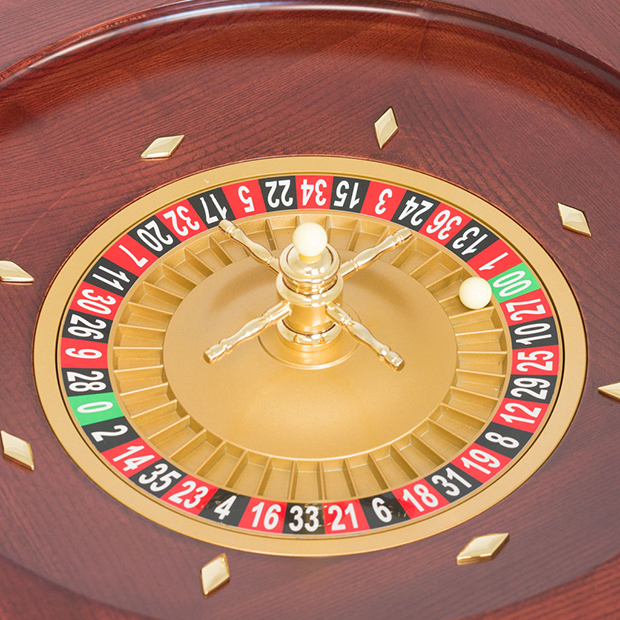 This beautifully crafted wheel is recommended for high end game rooms and casino night companies. This is a professional quality wheel at a low import price. The wheel has a very sleek design and weighs in at a hefty 18 pounds.